Pre-listing appraisal services - Campbell & Associates Appraisers, Inc. If you’re working with a real estate agent to list your property, likely they’ll provide you a Comparative Market Analysis (<?XML:NAMESPACE PREFIX = ST1 />CMA) that lists selected sales in your area as one of the first steps in determining what to set as the “Listing Price".This step is vital if you're going to maximize your profit and minimize the home’s time on the market. Decrease the chances of unknown problems that cause sales to fall through - like the home going back on the market when it fails to "appraise" to support the first (second?) buyer's mortgage risk/qualifications. Listing "Not Subject to Appraisal" is going away more, in today's Buyer's Market - it's simply not realistic now. Eliminate the wait for the buyer or their mortgage company to get the appraisal done on their own. Many people are surprised when they find out the market value of their home is much more than they thought, so investing in a professional appraisal actually allowed them to receive several thousand more than they thought, from the sale. Others have an inflated opinion of their home's value and an appraisal helps them to realistically price their home in order for it to sell. An overpriced home will not attract buyers, which means no offers and no closing and that you have wasted valuable time, money, and efforts. Thus, a sound appraisal actually Pays, rather than Costs, both seller/buyer and real estate agents on both sides of the transaction. Today's market trend is the opposite. 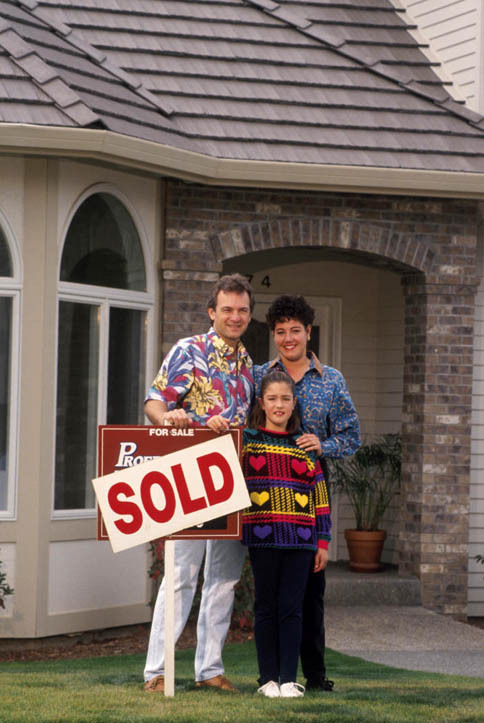 Sellers need not only an experienced real estate agent, but an experienced appraiser as well. The main obstacle to pre-listing appraisal is so small, it seems ridiculous. Neither seller nor agent want to spend a few hundred dollars in advance of the sale. Does that say the listing agent is not sure a sale will happen? In your interview process, be sure your agent is experienced enough to realize the value of a pre-listing appraisal. Sellers who initially over-price their homes report dissatisfaction with the process, and their agent in particular. Saving a few hundred in appraisal fees can cost agents and sellers tens of thousands, depending on market conditions. Many inexperienced agents (the vast majority in SE FL today have only 2-3 years experience) also figure if they list the home higher initially, you'll sign with them, reducing the price later. We tell you both the truth up front, to save you getting discouraged and "dumping" the home for less than it's worth, simply because the process takes too long when it's overpriced. On the other hand, we all remember reports of homes selling above listing price, after only days or even hours, on the market. That means, to an experienced appraiser, the home sold under market, again due to agent inexperience. Real estate agents' expertise is marketing; if they let the appraiser take care of valuation, seller and realtor can use the appraisal report to save them both time and money. We can step in and help make these decisions. Unlike a real estate agent, an appraiser has no vested interest in what amount the house sells for. Our appraisal fees are based on efforts to complete the report (&/or liability) and not a percentage of the sales price. So a professional appraisal can often help homeowners make the best decisions on investing in their homes and setting a fair sales price.